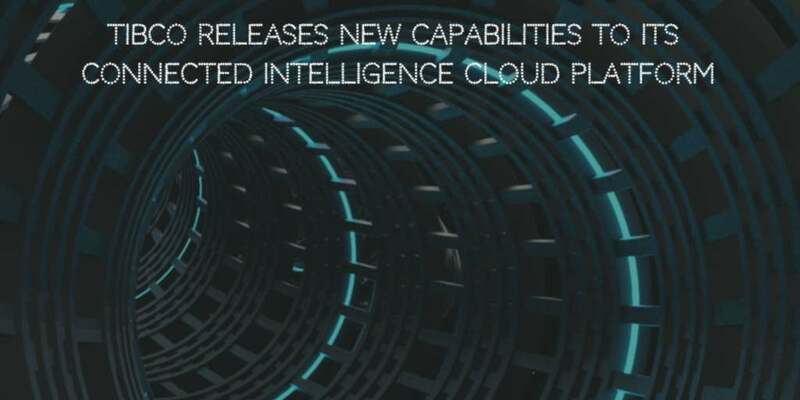 TIBCO software recently announced new set of enhanced capabilities to its TIBCO Connected Intelligence Cloud platform. The announcement noted that collaboration among various personas in today's world is key to innovate and TIBCO addresses the individual needs of each persona. Chief Operating Officer, TIBCO, Matt Quinn, said, "In order to address today's digital problems, organizations need to run analytics capabilities anywhere and everywhere, whether that's at the edge, in a data center, or in the cloud. Our goal with the expanded TIBCO Connected Intelligence platform is to continue building on our enterprise-scale offering, allowing customers to run our solutions in any environment, without needing to make a choice, thus enabling them to innovate and outpace the competition. To do so, we will continue to evolve our solutions as one of the only end-to-end platforms that can turn data into innovation." TIBCO introduced a new connector for TIBCO Cloud Integration. Also TIBCO Cloud Events can now proactively identify cases of interest to contextually determine next steps and build business logic to identify meaningful events. TIBCO Spotfire Data Streams Connectivity Wizard also simplified the overall business user experience providing better visibility on all real-time streaming data to its users. TIBCO's Spotfire 10.3 updates now offer native Snowflake Data Warehouse support. Project Flogo also introduces new performance enhancements. Project Flogo is fully open source web development framework to build custom user experiences. SnappyData provides unified analytics data fabric and geared towards solving use cases in IoT and across industry verticals, including financial services, manufacturing, and telecom. The announcement noted that TIBCO EBX extends TIBCO's portfolio with trusted shared data assets. It helps in critical operational and analytics processes. These capability enhancements were announced at the TIBCO NOW Global Tour 2019 event in Singapore.